Nokia today announced the launch of three new entry-level to budget smartphones in India. The devices which were announced globally by HMD back in May, are powered by Google's Android One and are priced between Rs 6,999 to Rs 14,499. All three devices will go on sale in stores and online at Paytm Mall and Nokia's own website. The smartphones launched today include the Nokia 5.1, the Nokia 3.1 and the Nokia 2.1. The devices are the successors to the Nokia 5, 3 and the 2 and come with both cosmetic and hardware upgrades. The Nokia 5.1 sits at the very top end of the range and is priced at Rs 14,499. The device features an all-metal body that's made out of 6000-series aluminium with a satin-like soft finish on the back. Despite the thinner bezels, the fingerprint reader is retained on the front bezel and sits below the tall display. 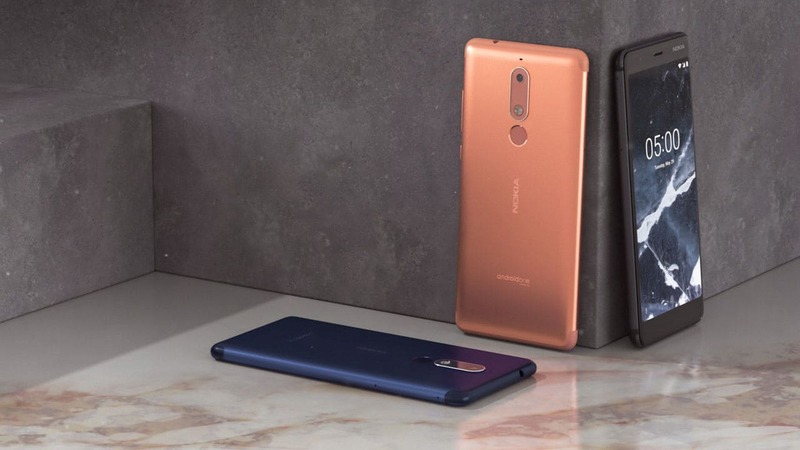 Specifications of the Nokia 5.1 include a 5.5-inch FHD+ (2,160 x 1,080 pixels) display in an 18:9 display aspect ratio which is an upgrade from the previous 5.2-inch unit on the older Nokia 5 model. Inside, Nokia goes with a MediaTek Helio P18 SoC clocked at 2.0 GHz and is paired with 3 GB RAM and a paltry 32 GB of internal storage, given its price tag. The camera at the back gets an upgrade to a 16 MP unit that is accompanied by a dual LED flash while the front-facing unit gets a 8 MP camera. The device will be available in copper, Tempered Blue and black. The second device launched today is a 3 GB RAM variant of the already available Nokia 3.1 and its priced at Rs 11,999. 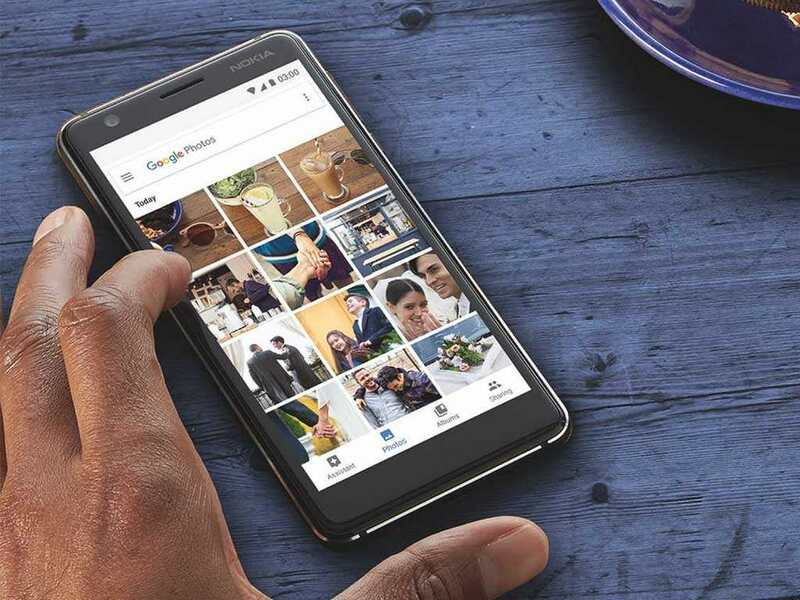 The new variant gets a spec bump with 3 GB RAM instead of the under-powered 2 GB RAM model and packs in a 5.2-inch IPS LCD display with HD+ (1,440 x 720 pixels) resolution. Inside, there is a MediaTek 6750 SoC and 32 GB of internal storage. The cameras get bumped up to a 13 MP primary cameras and a 8 MP front-facing camera for selfies. The most affordable device launched by the brand today is the Nokia 2.1. This is an entry-level device and is priced at Rs 6,999. The device features a Qualcomm Snapdragon 425 SoC and comes with a paltry 1 GB RAM paired with 8 GB of internal storage. Despite being low on RAM, the device should work fairly well, since it is powered by Android Oreo (Go edition) a version of Android that has been designed for devices with 512 MB or 1 GB RAM. It gets an 8 MP camera camera (with autofocus) at the back and a 5 MP camera on the front. While most of the specifications are pretty much bare bones, you still get a massive 4,000 mAh battery, which keeping in mind the low-powered core specifications should deliver great battery life.